I had a hankering for a “cakey” muffin so I got cooking. 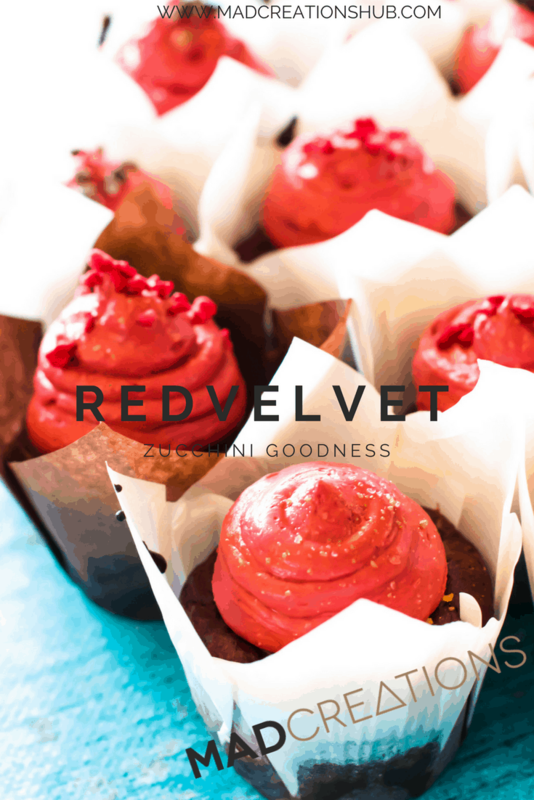 Everyone loves red velvet right? 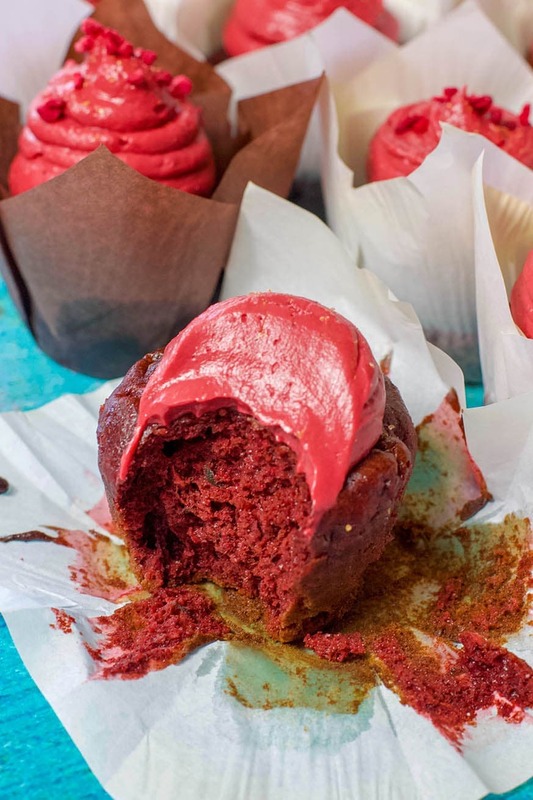 These Red Velvet Zucchini Muffins hit the spot! I thought I would mix it up by adding some zucchini for a moist and hidden vegetable recipe. It seems I get a lot of requests on hidden veg recipes for the kiddos! Keto muffins are pretty popular in my household. Dave loves some with some sugar free choc chips, or some blueberries. These zucchini muffins are a bit of a favourite of mine. I will say you will love the buttercream. 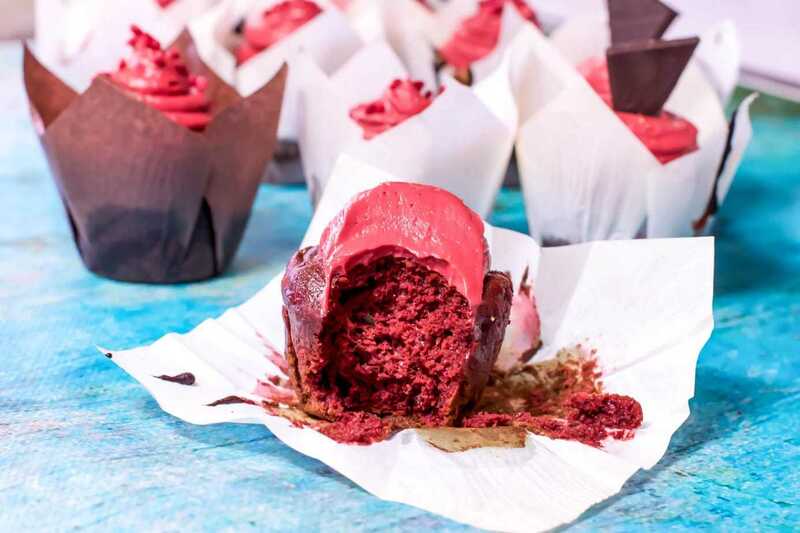 I think I could eat my way out of a vat of Red Velvet Buttercream. All ingredients for muffins into a mixer or your thermo and mix until combine. 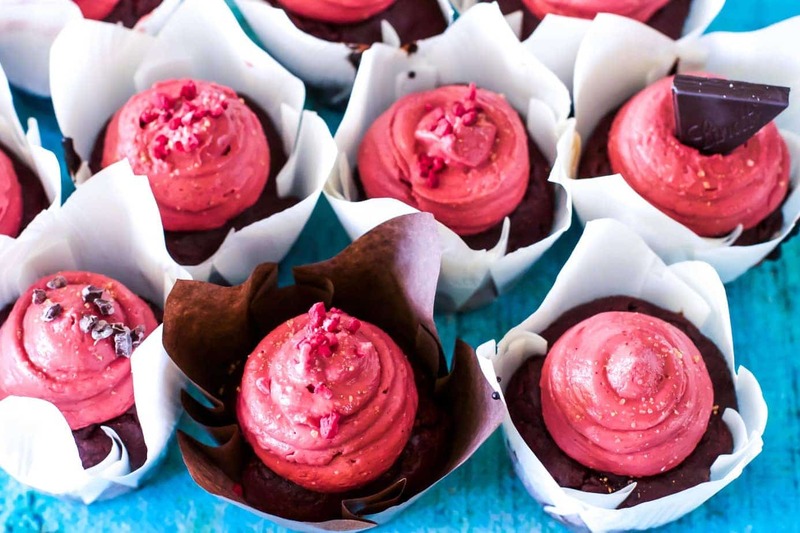 Lastly, if you are after a tasty variation just make these with 20 g extra cocoa in the muffin batter and top with a chocolate ganache for a super tasty keto dessert. Preheat oven to 160℃. Prepare muffin tin with 12 paper muffin cases. Mix all muffin ingredients in mixer for 20 seconds with paddle attachment. Pour into muffin cases and cook for 10 minutes until cooked through. Whip frosting ingredients until smooth and fluffy. Mix all frosting ingredients 20 seconds / speed 5 or until well combined and smooth. 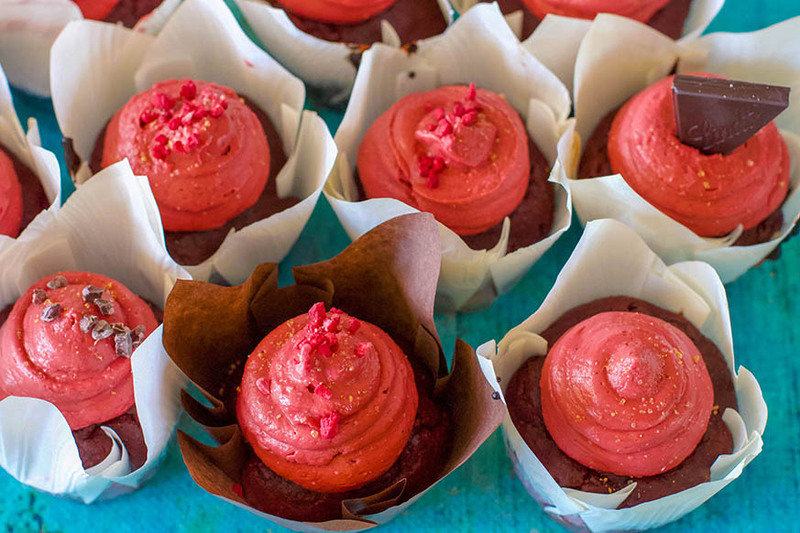 Store cupcakes in fridge for up to 5 days. Freeze cupcakes up to 1 month. I love these cupcakes. 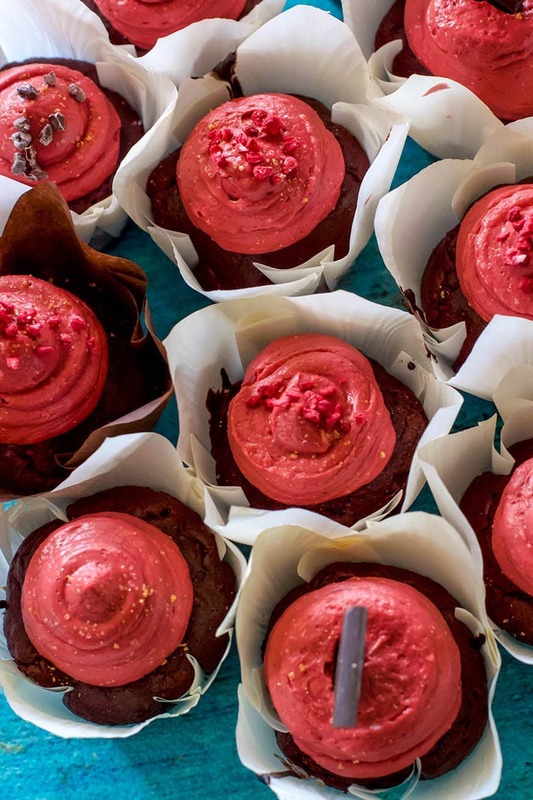 And that frosting…. Thank you! The reason you couldnt see was because it had been cut off in the recipe transfer. All fixed now! Is the grated zucchini squeezed/drained?